Many at TW have been aware of the popularity of the Theremin in Japan, and how it seems much greater, comparatively at least, than here in the States or Europe. 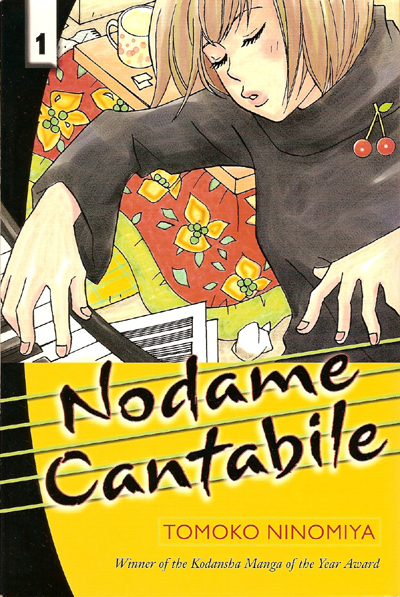 To further add to that impression, the Theremin was recently featured in a few pages of the manga "Nodame Cantabile" (wikipedia entry). The ongoing story follows a music student, Megumi Noda, in her adventures with a strong mix of humor and romance. In the recent volume 18, she presents one of her own compositions and performs on the Theremin. In a 2001 article on cultural trends, Japan Information Network traces it's popular growth after the cold war with it appearing on stage in the 1990s with popular singers, such as Hitomi Yaida and Ringo Shiina. Later Theremin playing was taught officially starting in 1999 at a culture school run by Seibu Department Stores in Tokyo, offering lessons by Yuki Yano, www.yano-yuki.com one of the few professional theremin musicians in Japan. And as of that 2001 article Masami Takeuchi, who is probably Japan's first professional theremin player, was teaching at culture schools run by Mainichi Shimbun in Nagoya and Osaka. He has created a Russian Doll Theremin called the Matryomin and directs an chorus of matryomin players. Groups such as "Friends of the Theremin" have brought many enthusiasts together in Japan. The little red Gakken Mini Theremin has been extremely popular with TW members.
"" Keromin gets its name from "kero," the Japanese onomatopoeic word used to describe a frog's croak, and the Theremin, the first ever electronic musical instrument. "" A very sophisticated little instrument, it is not exactly space controlled, you have to put your hand into the Keromin to play it, but it is "Theremin-Inspired". There is a picture and linearity chart on line too, its very cute.